Emmanuel Hondré (FR), director of the Philharmonie de Paris speaks with Neil Wallace (NL/UK), director of programming of Koorbiennale and De Doelen, Julien Caron (FR), director of the Festival de la Chaise Dieu and Edouard Fouré Caul-Futy (FR), producer at France Radio. 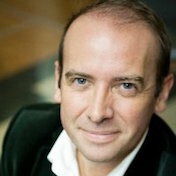 Neil Wallace was born in Scotland (UK) and lives in the Netherlands since 1995. His career in the performing arts started in Edinburgh, when he worked as actor and composer for the Theatre Workshop and with youth theatre company Brassneck Theatre. He occupied a number of cultural posts in the UK before becoming deputy director of Glasgow’s 1990 Cultural Capital of Europe programme. From 1991 to 1995 he was Programme Director of the multidisciplinary ‘Tramway’ in Glasgow. After moving to the Netherlands, he worked for several years as (artistic) director of the Haarlem Theatre and Concert Hall. He now works as music programmer of De Doelen, the major concert hall of Rotterdam since 2006, a job he combines with the artistic leadership of the International Choir Biennial in Haarlem. In 2007, at the request of the Gergiev Festival, he created a site-specific music theatre piece, Sleeping Without Schumann and has since staged more productions, including Wolfgang Rihm’s Sérapin-Stimme, Beethoven’s Fidelio, and Mahler’s Das Lied von der Erde. 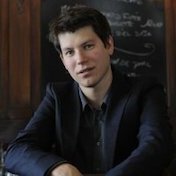 Julien Caron (FR) is director of the festival de la Chaise-Dieu in the Auvergne. 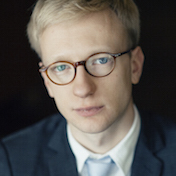 Aged 26 when he was appointed in 2013, he is the youngest director to be at the helm of one of the major music festivals in France. He started working at the festival as volunteer, doing all kinds of jobs from selling cd’s to organizing the surtitles of a Handel opera, while studying for master titles in both administration (Institut des Etudes Politiques de Paris) and music (Conservatoire supérieur national de musique de Paris). 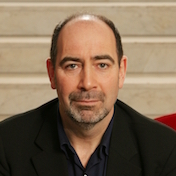 Edouard Fouré Caul-Futy (FR) is artistic coordinator of the Orchestre de Paris and, since 2008, executive producer at France Musique, where he is responsible for programmes such as “Le Matin des Musiciens”, “La Matinale de l’Été” and “Le parti d’en jouer”. He was artistic director of the Programme voix et de l’Unité scénique of the fondation Royaumont. After being educated as classical guitarist and singer, he now divides his time as performer between XVIth century vocal music and rock. He rounded off his Musicology studies with a thesis on vocal jousts ‘de Cantu a chiterra’ in Sardinia. He regularly collaborates with cultural institutions ((Cité de la musique, Conservatoire national supérieur de musique et de danse de Paris, Auditorium du Louvre, etc…) and has presented numerous musical programmes at ARTE.